LONDON, Ont. -- Police say seven inmates overdosed within minutes of each other on Thursday afternoon at a detention centre in London, Ont. London police Const. Michelle Romano says nobody died as a result of the incident. 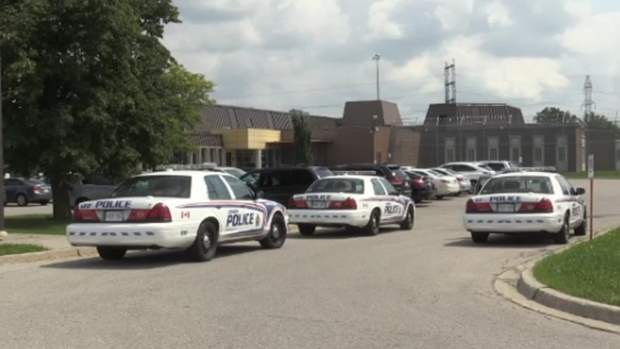 She says emergency medical services, police and fire crews were called to the Elgin Middlesex Detention Centre at about 2:15 p.m. after staff noticed inmates in medical distress. Romano says all inmates were conscious before being taken to hospital, where six inmates are doing well and one remains in serious condition. She says it's not yet known what drugs led to the overdoses, but naloxone, which is used to block the effects of opioids, was administered in an attempt to treat them.